It’s unashamedly big; it’s unselfconscious hi-fi royalty. And it sounds like nothing else you’ve heard. While your ears are captivated by the Confidence 60’s astonishing power, scale and detail, your eyes will probably be drawn to the single Esotar3 28mm soft-dome tweeter in the middle. Then the twin 15cm MSP midrange drivers with Horizon Surrounds. And, finally to the two 24cm MSP NeoTec Woofers. The drivers are all new. And they’re all part of the next generation of our innovative DDC (Dynaudio Directivity Control) sound-shaping technology platform. This focuses the sound waves radiating from the speakers into a tight vertical ‘beam’ that avoids reflections from floors and ceilings while maintaining a wide horizontal image. That means a bigger sweet-spot on the couch, a happier audience, and the knowledge that you’re only hearing what the drivers are producing – and not what the room itself is bringing to the party. The new 24cm NeoTec MSP woofers also have neodymium magnets under the hood, and use three layers of glass-fibre in their voice-coil formers for optimum stiffness. The voice-coils themselves are copper (which provides extra moving mass for tighter, more powerful and more controlled bass in this specific driver design). And the entire woofer motor has been designed to harness airflow using an innovative new venting system that’s been machined directly into the magnet. 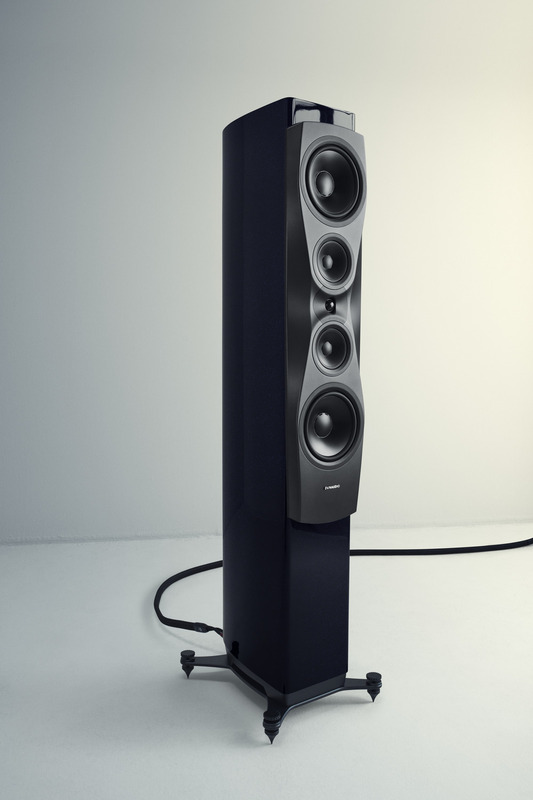 Dynaudio have taken their legendary MSP woofers to new heights. A combination of powerful neodymium magnets and aluminium and copper voice-coils mean each driver is individually engineered and tuned for one purpose: unsurpassed quality.